Imagine the Universe is like an enormous brain. Now we come to the scientific aspect of it. They go hand in hand. You can not have one without the other. Our Creators are the mad scientists, made of etheric light, after all. But just imagine. The Universe is an empty mind, with new thoughts being formed within it, within each light source, no matter its size. We are all creating. It started out that way, it will never end. 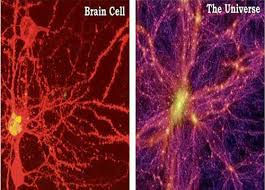 In the above photos, the brain cell transmitting a thouht, looks like a map of the Universe. So this proves that the Universe is nothing more than a designed thought, a program. 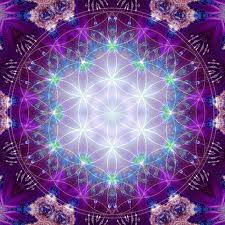 It is in the shape of the flower of life, because that is the pathway, and wave, that the thoughts of all things in existence travel on, to and from Source. Flowers of life within flowers of life on this wave and trail. 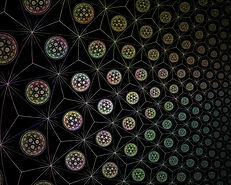 The patterns break down into smaller patterns, which all can be translated into sound and light. All of the sacred geometric shapes can be found in the Flower of Life. All of those shapes have mathematical sequences. So, our great spirit, as the Native Indians called it, is really light traveling in shapes, numbers, and wave lengths. All light is spirit, as all light is consciousness. The further the rays go out into the void, the lesser the vibration becomes, and that is when the attributes of Source, and the beings managing it, become lesser. Many think lower vibrations are bad, when in reality, those lower vibrations are simply lower attributes. Light can get stronger, through gaining wisdom, and that is when it climbs back through the Akasha, and travels upward, back toward source.That is called ascension, and enlightenment. Each person will be a different level in their light. But that is another story…. All of the things in existence are a thought, with more thought within that. When light branches outward, and gets further from Source, it carries the thoughts of all of the beings in that light ray in all levels, and also any that it picks up along the way. 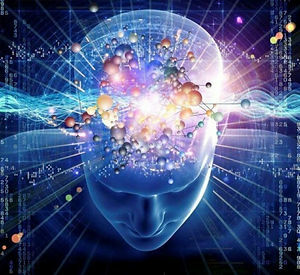 There are many “thoughts” out there floating around as we all interconnect. 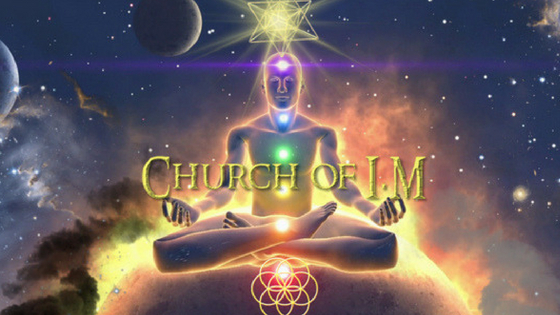 When you connect to the being higher than you in your ray or vibration, that is called, connection to the Higher Self. We are all just thought fragments, experience a dreamscape, that the higher self has developed as it floated thoughts out into the Universe, or void. Everything is based on a thought. That is what people do not see, as they concentrate only on the world, small world, around them. We are so small, it is beyond comprehension. In those thoughts, patterns, light and sound, things took shape. But there would have to be beings of all sizes so that these patterns of light could seem to be visual experiences. Breaking the material planes down into molecules, you will see that everything is just energy. It is the perception of the energy, that gives someone the illusion of the reality that they are in. The energy operates on the vibrations, and the vibrations are really broken down into math. The golden ratio appears, as we look deeper into the reality all around us. The fibonacci shows us this digital pattern, as it starts with, 0. Zero is the Void, as it explains in Genesis Chapter One,” It was formless and empty”. Then the pattern goes on with the number 1, symbolizing Source, and then continues with yet another 1, which symbolizes the Father. After that is the number 2, symbolizing the Mother, and then number 3, which shows us the seed, Christ Consciousness. Male and female coming together, the flower of life is forming. The next number in the Fibonacci Sequence is 5. This is the creation of the 5 elements. Earth, Air, Fire, Water, and Spirit, as the Christ creates it, because he is, “At the right hand of the Creator, given all power in the Heavans and on Earth” Matthew 28:18. because he has the all knowing, due to having both the female and male perspective. It continues with the number 8 in the sequence, which is the rays of existence (thus is why Illuminati uses the sun symbol in their hidden signs, or worship the sun). Red, Orange, Yellow, Green, Blue, Indigo, and Violet, as well as White light. This creates the firmament, as explained in Genesis Chapter 1:7. Then the dimensions were flared by the spectrum of the particles of Creation, expanding into all of the waves and frequencies of existence, making the 13 dimensions, which brings us to the next number in the Fibonacci. As above, and so below, comes form this concept, because everything made, was just made the same, in smaller proportion through out those dimensions. That pattern is found in all of creation, big, small, seen, and unseen.